Da Capo Press, 9780306922688, 320pp. 1986, Mobile, Alabama. A fourteen-year-old girl is awakened by the unmistakable sound of gunfire. On the front lawn, her father has shot and killed her mother before turning the gun on himself. Allison Moorer would grow up to be an award-winning musician, with her songs likened to "a Southern accent: eight miles an hour, deliberate, and very dangerous to underestimate" (Rolling Stone). Now, Allison turns her lyrical storytelling powers to recount the events leading up to the moment that forever altered her own life and that of her older sister, Shelby, with whom she shares an unbreakable bond. Gorgeously written, Blood delves into the meaning of inheritance and destiny, shame and trauma -- and how it is possible to carve out a safe place in the world despite it all. 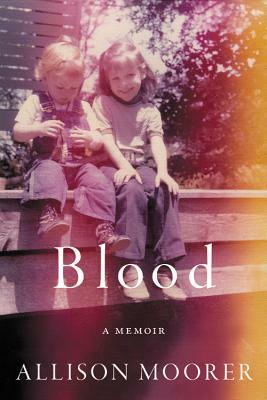 With a foreword by Grammy winner Shelby Lynne, Blood is a familial Just Kids that reads like an intimate journal -- vivid, haunting, and ultimately life-affirming. Allison Moorer has been nominated for Academy, Grammy, Americana Music Association, and Academy of Country Music Awards. She holds an MFA in Creative Writing and lives in New York City and Nashville.